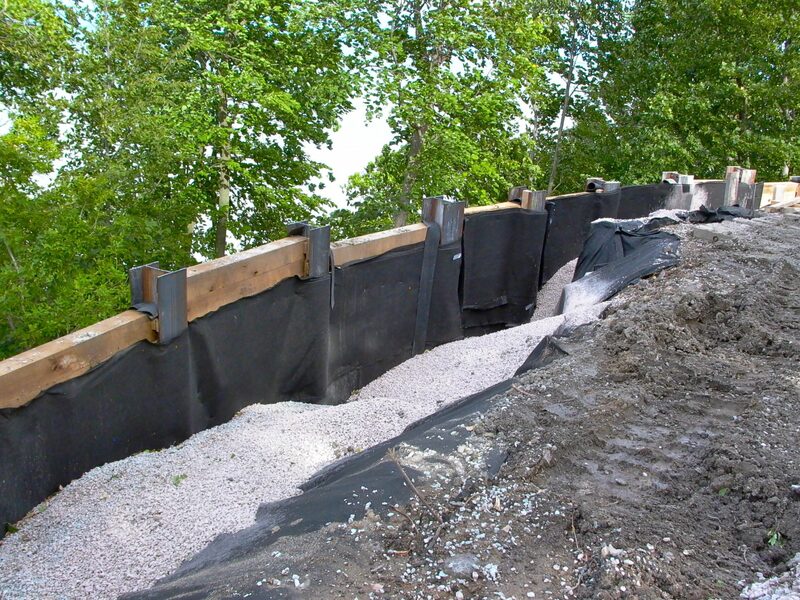 Bleck Engineering was hired to design a retaining wall to replace a timber retaining wall that was failing. The property overlooks Lake Michigan with a 65 foot high bluff. 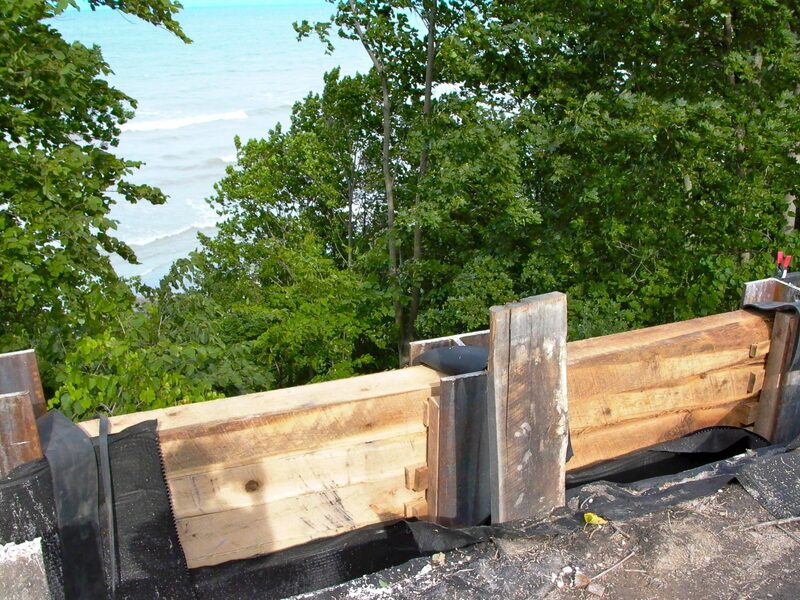 The home is situated 40 feet from an existing timber retaining wall that was failing. The new wall is 140’ in length, with an exposed face 13’ high. 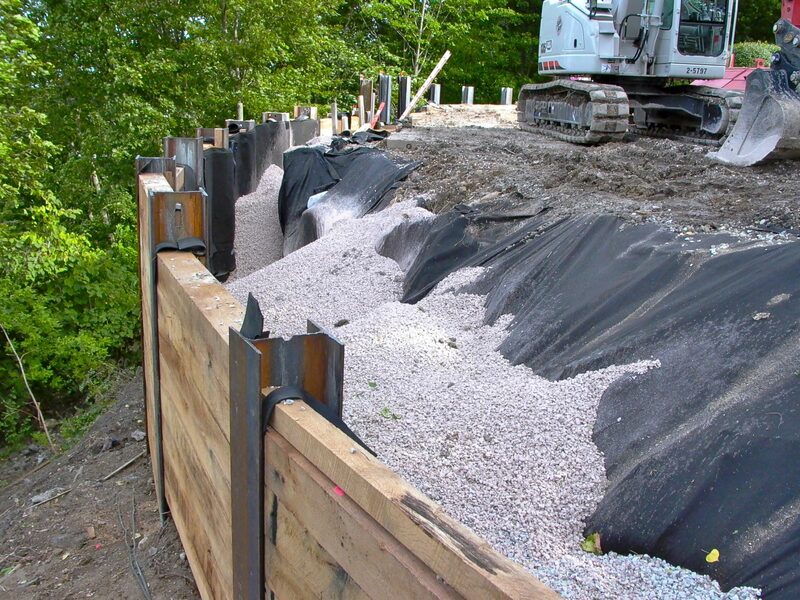 The wall was designed as a soldier pile retaining wall with drilled in steel H-piles and white oak timber lagging.